Total has been present in South Africa since 1954. The Group is active on the whole oil and gas value chain and directly employs 1,000 people in the country. 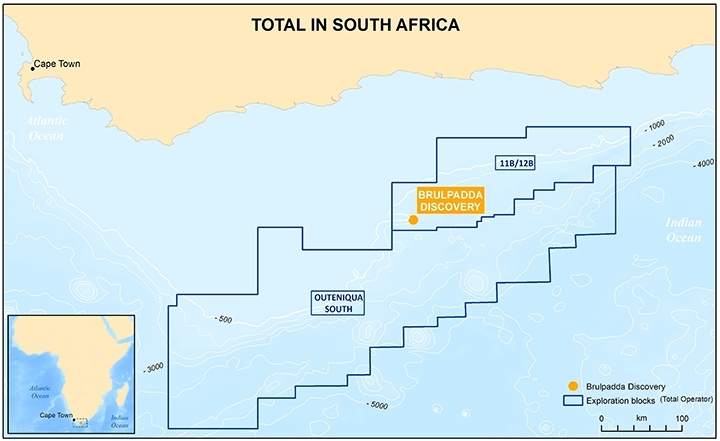 Upstream, Total has developed oil and gas exploration activities in the Outeniqua basin with operating interests in two blocks, 11B /12B and South Outeniqua. Downstream, Total, which is ranked in the top four petroleum products market companies in South Africa, operates about 550 service stations throughout the country and is present in all other business segments (lubricants, B2B, aviation, LPG, other specialties). It also has interest in the Natref refinery in Sasolburg. Through our SunPower affiliate, Total has also been developing solar projects and locally producing photovoltaic panels. Since 2016, its Prieska solar power plant (installed capacity of 75 megawatt-peak), located in the Northern Cape, has been supplying electricity to the equivalent of 70,000 households.